I got turned onto Gary Hoey via Houston radio, way back in the first part of the nineteen-nineties. A top-notch guitar player, dude could seriously rock out. The song on the radio from his Animal Instinct (1993) CD was a cover of a famous Focus song; Hocus Pocus. Gary’s version was a more guitar driven instrumental that was meant to be played LOUD. When looking at CDs one day, I found Gary Hoey’s Christmas CD; Ho Ho Hoey. I already read good reviews, and I believe when I purchased it, the time was actually around the Winter holidays. Better timing, then trying to listen to Christmas music in the middle of July. I discovered Jon Anderson’s ‘3 Ships’ in the middle of a Houston heatwave. Anyone around listening range heard ‘O Holy Night’, and it was over a hundred degrees in the shade. Good music is good music, any time of the year (not entirely … you catch my drift). Ho! Ho! Hoey: Eleven tracks. All instruments played by Gary. There is one guest vocalist on one song, with the rest being instrumental. Got some super hard rocking moments along with the traditional sounding holiday songs. 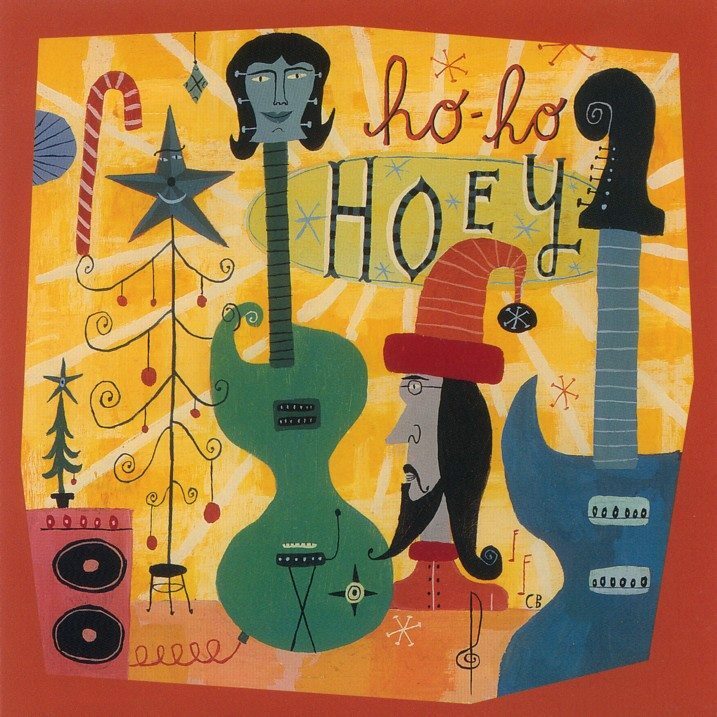 The song, ‘The Twelve Days Of Christmas’, off the album Ho Ho Hoey, and the video clip off Hoey’s new DVD; ‘Ho Ho Hoey: Live In Lowell’. Information on how to obtain this can be found on Gary’s official website. Please Note: At the time of this writing, Gary had just released a new CD; Delta Blues. I’m sure it’s worth checking out. Also, Lita Ford‘s ‘Living Like A Runaway’ CD that came out last year was co-produced by Hoey.